When looking for wildlife in the snow, anything ectothermic is probably not high on your list. Imagine my surprise on my last couple walks to repeatedly come face-to-face with tiny spiders dangling at eye level. Who knew there were spiders active in winter? 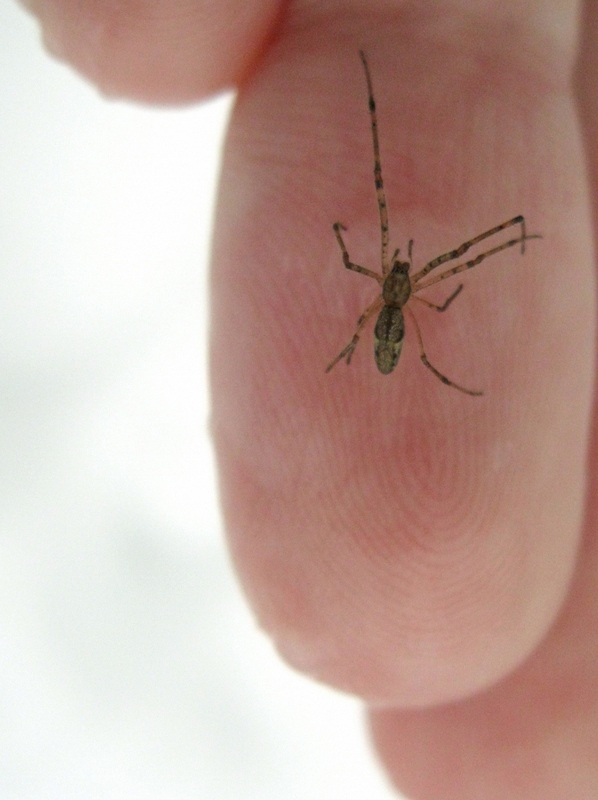 Eventually I found one motionless on the surface of the snow, and when I picked it up the warmth of my hand quickly revived it and started it running around on my fingers. (Not an easy thing to photograph.) 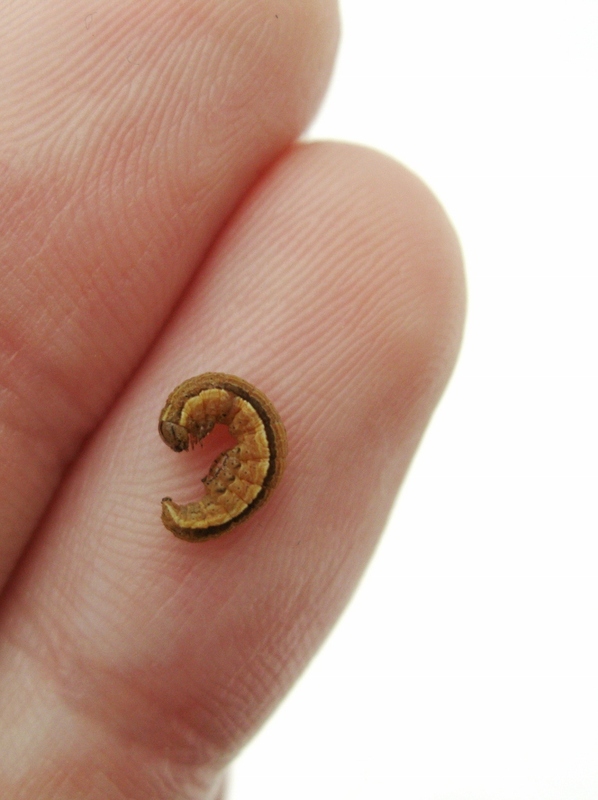 Shortly afterword I found an equally tiny larva of some sort, which I would guess had fallen out of a tree. It, too, perked up and started crawling inchworm-style across my hand. 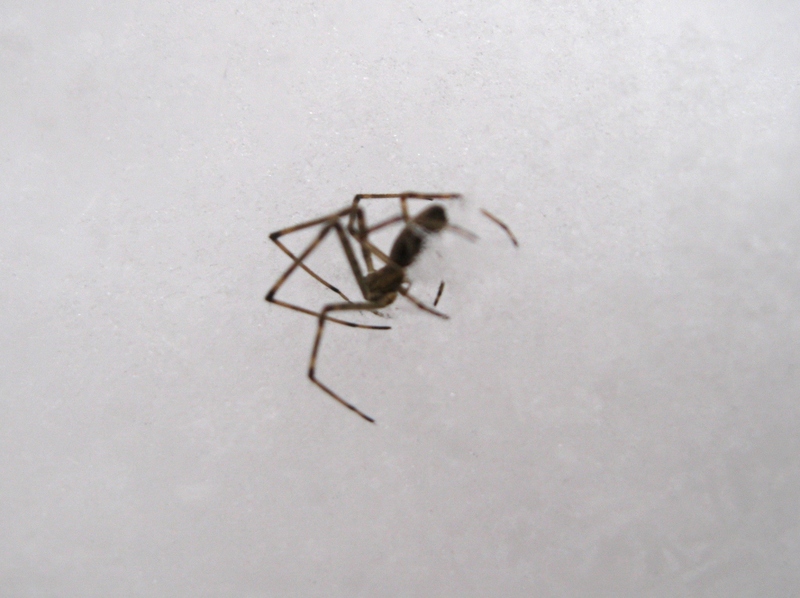 Bernd Heinrich’s Winter World, my go-to source of information about winter ecology, was no help on the spiders. However, he does talk quite a bit about geometrid moth caterpillars, and after a quick Google image search I think that could be the identity of my larva. They’re an important winter food source for Golden-crowned Kinglets. The resilience of these little things is astounding. In warmer seasons I probably wouldn’t take any notice of a spider a centimeter long, but in winter it becomes something to marvel over. I saw spiders in the snow in Michigan! Very surreal. The spider looks like a Tetragnatha. I’m curious. Did you find it under a tree? I find that down here in relatively warm Texas, the junipers keep insects and spiders year-round. The abdominal markings remind me of genera that are typically found near water, where they eat flies that emerge from the water or critters that drop to the water. Well, it was in the middle of the trail but I’m sure there were probably branches overhanging the trail – it’s a pretty dense woods. The previous ones I’d seen were dangling from branches on silk. no not know and its the tanish brown one you had a pic of.